This online form is intended to provide the City Council with contact information, and to learn about your background and interests as a potential member of a city advisory board or commission. 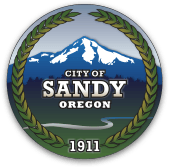 Thank you for your interest in serving the City of Sandy! To find more information on boards and commissions click here. *What knowledge, education or skills would you bring to this board?